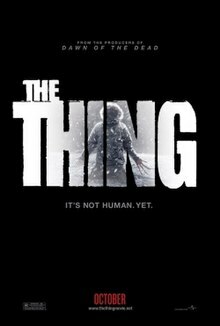 The Thing is a 2011 science fiction Norwegian-American horror film directed by Matthijs van Heijningen Jr. and written by Eric Heisserer based on the novella Who Goes There? by John W. Campbell. It is a prequel to the 1982 film of the same name by John Carpenter. The film stars Mary Elizabeth Winstead, Joel Edgerton, Ulrich Thomsen, Adewale Akinnuoye-Agbaje, and Eric Christian Olsen. They are part of a team of Norwegian and American scientists who discover a dangerous alien buried deep in the ice of Antarctica, realizing too late that it is still alive. In the winter of 1982, a buried alien spacecraft is discovered in Antarctica by Lars, Peder and Olav, members of a Norwegian research station, "Thule". American paleontologist Kate Lloyd is recruited by Dr. Sander Halvorson and his assistant Adam Finch to investigate. They fly to Thule in an American helicopter operated by Carter, a pilot, Jameson, his co-pilot, and Griggs, a crewman. The scientists are met by station chief Edvard, Juliette, and Karl. After seeing the spacecraft, the scientists examine an alien body buried in the ice nearby, and make plans to excavate it. That evening, the new arrivals meet the rest of the base: Jonas, Henrik, Colin, and Lars' dog. The next day, the body is excavated in a block of ice, which gradually melts in storage. In the evening, Jameson sees the alien burst from the ice. The team search for the creature, finding Lars' dog dead. The creature is found; it kills Henrik by dragging him into itself, spattering blood on Olav. The group burn the creature, killing it. An autopsy finds a metal implant of Henrik's outside of his body, and further that the creature's cells were copying Henrik's. Olav falls ill.
An implant is a medical device manufactured to replace a missing biological structure, support a damaged biological structure, or enhance an existing biological structure. Medical implants are man-made devices, in contrast to a transplant, which is a transplanted biomedical tissue. The surface of implants that contact the body might be made of a biomedical material such as titanium, silicone, or apatite depending on what is the most functional. In some cases implants contain electronics e.g. artificial pacemaker and cochlear implants. Some implants are bioactive, such as subcutaneous drug delivery devices in the form of implantable pills or drug-eluting stents. The next morning, the helicopter crew departs with Olav, for McMurdo. During takeoff, Kate discovers dental fillings near a bloodied shower. She runs outside to flag down the helicopter. When it attempts to land, Griggs transforms and attacks Olav. The helicopter spins out of control and crashes in the mountains. Kate finds the shower has been cleaned up and tells the team that the alien organism imitates its victims. Noting that Thule's helicopter is away for refueling at Halley, Edvard orders the team to drive to the closest base. Juliette lures Kate into an abandoned room, transforming and attacking her. Kate escapes, but the Juliette-creature instead kills Karl. Lars arrives with a flamethrower and burns the Juliette-creature. The team resolve to quarantine themselves until the threat is eliminated, and discuss scientific tests. The McMurdo Station is a United States Antarctic research center on the south tip of Ross Island, which is in the New Zealand-claimed Ross Dependency on the shore of McMurdo Sound in Antarctica. It is operated by the United States through the United States Antarctic Program, a branch of the National Science Foundation. The station is the largest community in Antarctica, capable of supporting up to 1,258 residents, and serves as one of three United States Antarctic science facilities. All personnel and cargo going to or coming from Amundsen–Scott South Pole Station first pass through McMurdo. Halley Research Station is a research facility in Antarctica on the Brunt Ice Shelf operated by the British Antarctic Survey (BAS). The base was established in 1956 to study the Earth's atmosphere. Measurements from Halley led to the discovery of the ozone hole in 1985. The current base is the sixth in a line of designs to overcome the challenges of building on a floating ice shelf where they become buried and crushed by snow. Despite moving the buildings 23km "inland", concern over the propagation of an ice crack resulted in the base being left unmanned for the winters of 2017 and 2018. That night, Carter and Jameson improbably stagger back to the base, out of the cold. Suspecting them as creatures, the group isolate them. Thule's laboratory is sabotaged, and tensions flare. Inspired by her earlier discovery, Kate proposes a simple test: everyone must open their mouths to check for dental fillings. The alien does not assimilate inorganic or metallic material, and so people with fillings are cleared. The test implicates Sander, Edvard, Adam, and Colin, who have no visible fillings. Lars and Jonas go to get Carter and Jameson for testing, and as Lars searches an outer building, he is suddenly pulled inside. Chaos erupts, and Carter and Jameson break into the main building, shooting Peder dead and puncturing his flamethrower's tank. The flamethrower's leaking fuel meets its active flame, causing an explosion which knocks Edvard unconscious. When brought to the main room, Edvard violently transforms, infects Jonas, kills Jameson, and gruesomely assimilates Adam. The Edvard-creature drags Adam's body away, now part of its own body. Kate burns Jonas and Jameson before she and Carter pursue the creature, which assimilates Sander. The Edvard-Adam-creature attacks Carter but is burned by Kate, saving him. An assimilated Sander drives off into the night, pursued by Kate and Carter. They arrive at the spacecraft which suddenly activates, separating them. Kate falls into the ship, confronting the Sander-creature. Kate kills it with a grenade and the explosion shuts down the ship's engines. Kate and Carter reunite. Kate notices that Carter is missing an earring he wore earlier. When confronted, Carter points to the wrong ear. Kate burns the Carter-creature, which emits an alien scream, and she seeks warmth in a nearby snowcat. A snowcat is an enclosed-cab, truck-sized, fully tracked vehicle designed to move on snow. Major manufacturers are Tucker, Camoplast by Bombardier, Prinoth and Kässbohrer. Groomers are usually a larger vehicle than a regular snowcat. The next morning, Thule's helicopter pilot Matias returns. Absent from the film's events until this point, Matias views the ruined station and the husk of the Edvard-Adam-creature with horror. Colin is shown to have committed suicide by knife. Lars shoots at Matias and orders him to open his mouth. Lars' dog, thought dead, emerges and runs away. Lars orders Matias to start the helicopter and give chase. Paul Braunstein as Griggs, a crew-chief member of the American helicopter transport team. Trond Espen Seim  as Edvard Wolner, a notable Norwegian geologist who is the station commander and an old friend of Sander. Kim Bubbs as Juliette, a French geologist who is part of Edvard's team. Stig Henrik Hoff  as Peder, a Norwegian rifle-toting camp member who is Edvard's right-hand man. Carsten Bjørnlund as Karl, a Norwegian geologist also part of Edvard's team. Ole Martin Aune Nilsen as Matias, the helicopter pilot of the Norwegian base currently in a mission to restock kerosene at Halley. Matias, like Lars, is revealed to be aboard the Norwegian helicopter in the 1982 film. Michael Brown as Hank, a security guard and bit part who introduces Adam and Sander to Kate. "It's a really fascinating way to construct a story because we're doing it by autopsy, by examining very, very closely everything we know about the Norwegian camp and about the events that happened there from photos and video footage that's recovered, from a visit to the base, the director, producer and I have gone through it countless times marking, you know, there's a fire axe in the door, we have to account for that…we're having to reverse engineer it, so those details all matter to us ‘cause it all has to make sense." The film was shot in the anamorphic format on 35 mm film, as the director dislikes the look of films shot digitally. The director chose not to fast cut the film, instead opting for a slower pace, hoping to build a sense of pending dread. The prequel was filmed in Pinewood Toronto Studios, Port Lands on March 22, 2010 and ended on June 28, 2010. On set, the director had a laptop computer which contained "a million" screen captures of the Carpenter film, which he used as a point of reference to keep the Norwegian camp visually consistent with the first film. Alec Gillis and Tom Woodruff Jr. of Amalgamated Dynamics created the practical creature effects for the film. In addition to creating the effects for the human-Thing transformations, Gillis, Woodruff and their team had the challenge of coming up with the look of the alien in the ice block unearthed by the Norwegians. While it was initially only intended to be shown as a silhouette, the director liked their designs and encouraged them to fully create the creature, which was realised by creating a monster suit that Tom Woodruff wore. The effects team opted to use cable-operated animatronics over more complex hydraulic controls, as they felt they gave a more "organic feel". In order to emulate the creature effects of the first film, Heisserer revealed that traditional practical effects would be used on the creatures whenever possible. The film's computer-generated imagery was created by Image Engine, the effects house who worked on Neil Blomkamp's 2009 film District 9 . Computer Graphics were used to digitally create extensions on some of the practical animatronic effects, as well as for digital matte paintings and set extensions. Alec Gillis stated that the advancement of animatronic technology since 1982 combined with digital effects allowed the effects team to expand upon the possible creature conceptions. Matthijs van Heijningen preferred to use practical effects over computer imagery, as he believed actors give better performances when they have something physical to react to. However, in post-release interviews, Alec Gillis revealed that while Amalgamated Dynamics creature designs for the film remained intact, most of their practical effects ended up being digitally replaced in post-production. The creation of Gillis's all-practical-effects independent horror film Harbinger Down was partially in response to this. Stunt men covered in fire-retardant gel were used in scenes when characters are set on fire. The original Ennio Morricone score was reflected in the film's score, but it was initially reported that Morricone did not score the film, nor was his music from the 1982 version used. However, his theme "Humanity (Part II)" appears in a bonus scene during the prequel's ending credits (indicating how it leads directly into the 1982 film). The film was nominated for two awards at the 38th Saturn Awards, but lost to The Girl with the Dragon Tattoo and X-Men: First Class , respectively. The Norwegian characters play an excerpt from the song Sámiid Ædnan. John Howard Carpenter is an American filmmaker and screenwriter. 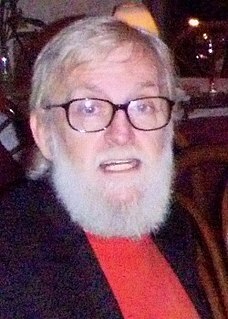 Although Carpenter has worked with various movie genres, he is associated most commonly with horror, action, and science fiction films of the 1970s and 1980s. The Thing from Another World, sometimes referred to as The Thing, is a 1951 American black-and-white science fiction-horror film, directed by Christian Nyby, produced by Edward Lasker for Howard Hawks' Winchester Pictures Corporation, and released by RKO Pictures. The film stars Margaret Sheridan, Kenneth Tobey, Robert Cornthwaite, and Douglas Spencer. James Arness plays The Thing, but he is difficult to recognize in costume and makeup due to both low lighting and other effects used to obscure his features. The film is based on the 1938 novella Who Goes There? by John W. Campbell. Who Goes There? is a science fiction novella by John W. Campbell, Jr., written under the pen name Don A. Stuart. It was first published in the August 1938 Astounding Science Fiction. 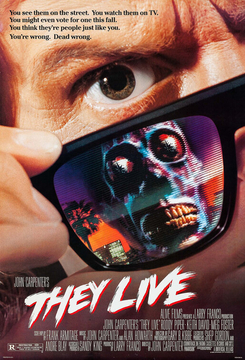 They Live is a 1988 American science fiction film written and directed by John Carpenter, and based on the 1963 short story "Eight O'Clock in the Morning" by Ray Nelson. It follows an unnamed drifter played by Roddy Piper, who discovers that the ruling class are aliens concealing their appearance and manipulating people to spend money, breed, and accept the status quo with subliminal messages in mass media. Dawn of the Dead is a 2004 American action horror film directed by Zack Snyder, produced by Richard P. Rubinstein, Marc Abraham and by Eric Newman and the screenplay written by James Gunn while the special effects for the film were done by Heather Langenkamp and David LeRoy Anderson, who co-own AFX Studio. It is the remake of George A. Romero's 1978 film, and stars Sarah Polley, Ving Rhames, Jake Weber, and Mekhi Phifer. Its plot centers on a handful of human survivors living in a shopping mall located in the fictional town of Everett, Wisconsin, surrounded by swarms of zombies. Ty Burrell, Michael Kelly, Kevin Zegers, and Lindy Booth play supporting roles; the original's cast members Ken Foree, Scott Reiniger, and Tom Savini appear in cameos. The film was released by Universal Pictures on March 19, 2004. The film grossed $102 million worldwide against a budget of $26 million. Daniel Thomas O'Bannon was an American film screenwriter, director, visual effects supervisor, and occasional actor, usually in the science fiction and horror genres. Jahn Dennis Storhøi is a Norwegian actor. Jørgen Langhelle is a Norwegian actor of stage, screen and television. Matthijs van Heijningen Jr. is a Dutch filmmaker, writer and producer best known for Red Rain and The Thing. Jonathan Lloyd Walker is an English-Canadian film and television actor, producer and screenwriter who resides in Canada. He is known for film roles in Shooter, RED, and as the British radio operator Colin in The Thing. He also played Rankor in the TV-series Flash Gordon. Trollhunter is a 2010 Norwegian dark fantasy film, made in the form of a "found footage" mockumentary. 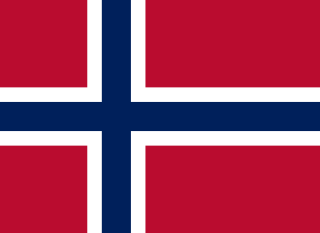 It is written and directed by André Øvredal, and features a mixed cast of relatively unknown actors and well-known Norwegian comedians, including Otto Jespersen. Trollhunter received positive reviews from Norwegian critics. It opened on 10 June 2011 in the US to a mostly positive critical reception. Amalgamated Dynamics, Inc. (ADI) is an American special effects company specializing in animatronics and prosthetic make-up, headquartered in Chatsworth, California. It was founded in 1988 by Stan Winston alumni Tom Woodruff Jr. and Alec Gillis. Notable work includes Death Becomes Her, for which they won an Academy Award for Best Visual Effects, Starship Troopers, which was also nominated for an Oscar, and the practical creature effects seen in the Alien franchise from Alien 3 onward. Woodruff also portrays creatures in the films ADI works on, such as the Alien. Harbinger Down is a 2015 American independent science-fiction monster horror film written and directed by Alec Gillis and produced by Tom Woodruff Jr. – the founders of the special effects company StudioADI –, and starring Lance Henriksen. Alien: Covenant is a 2017 science fiction horror film directed and produced by Ridley Scott and written by John Logan and Dante Harper, from a story by Michael Green and Jack Paglen. 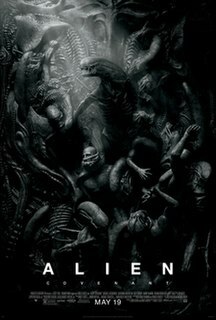 A joint American and British production, the film is a sequel to Prometheus (2012) and is the second installment in the Alien prequel series and the sixth installment overall in the Alien film series, as well as the third directed by Scott. The film features returning star Michael Fassbender and Katherine Waterston, with Billy Crudup, Danny McBride, and Demián Bichir in supporting roles. It follows the crew of a colony ship that lands on an uncharted planet and makes a terrifying discovery. The following is a list of unproduced John Carpenter projects in roughly chronological order. During a career that has spanned over 40 years, John Carpenter has worked on projects which never progressed beyond the pre-production stage under his direction. Some of the films were produced after he left production. ↑ "The Thing (15)". British Board of Film Classification. 2011-08-25. Retrieved 2011-08-28. ↑ "LUMIERE : Film: The Thing". lumiere.obs.coe.int. ↑ "Can 'The Thing' remake help stop Universal's losing streak?". Los Angeles Times . March 15, 2010. Retrieved April 20, 2010. 1 2 3 "The Thing (2011) (2011)". Box Office Mojo . Retrieved 10 March 2018. ↑ Fischer, Russ (April 7, 2010). "First Set Image for Universal's Prequel to The Thing". /Film . Retrieved April 20, 2010. 1 2 3 "NYCC 2010: 'The Thing' Panel Reveals First Footage". geeksofdoom.com. October 10, 2010. Retrieved January 24, 2011. ↑ Edgerton, Joel (April 6, 2010). "Joel Edgerton discusses new Thing". Total Film . Future Publishing . Retrieved April 20, 2010. ↑ "Casting update for "The Thing" Prequel !". Oh My Gore. March 21, 2010. Retrieved April 20, 2010. 1 2 3 Miska, Brad (March 17, 2010). "Update: A Massive Amount of Norwegians Fill 'The Thing' Cast". Bloody Disgusting. Retrieved April 20, 2010. ↑ "'The Thing' Prequel Gains Some Muscle". ↑ "The Thing Prequel: Are These 'Them Crazy Swedes'?". Dread Central. CraveOnline. March 17, 2010. Retrieved April 20, 2010. ↑ Miska, Brad (June 30, 2010). "Official Plot Synopsis for 'The Thing' Prequel". Bloody Disgusting . Retrieved June 30, 2010. ↑ Barton, Steve (June 30, 2010). "Official Synopsis: The Thing Prequel". Dread Central . Retrieved June 30, 2010. ↑ "Jonathan Walker Joins the Cast of The Thing Prequel". Dread Central. CraveOnline. April 19, 2010. Retrieved April 20, 2010. ↑ Miska, Brad (April 18, 2010). "Last Second 'The Thing' Casting". Bloody Disgusting . Retrieved April 20, 2010. 1 2 "Eric Heisserer Talks 'The Thing' Prequel/Remake". BloodyDisgusting.com. August 7, 2009. Retrieved January 24, 2011. ↑ "Interviews With 'The Thing' Prequel Director and Producers – Screen Rant". Screen Rant. ↑ "The Panel From Another World". IGN . October 9, 2010. Retrieved January 24, 2011. ↑ "Producers Talk Attraction to The Thing Prequel". dreadcentral.com. March 16, 2010. Retrieved January 24, 2011. ↑ Fleming, Michael (January 28, 2009). "Universal bringing back 'The Thing'". Variety . Retrieved June 11, 2009. ↑ "Director Found For 'The Thing' Prequel". Bloody Disgusting. January 15, 2009. Retrieved June 11, 2009. 1 2 "The Thing (Prequel) – The Thing Gets Unleashed". ign.com. October 22, 2010. Retrieved January 26, 2011. 1 2 3 4 5 6 7 "PODCASTS – THE THING PREQUEL NYCC PANELl". Spill.com. October 15, 2010. Retrieved January 24, 2011. 1 2 Collura, Scott (March 18, 2009). "Exclusive: Moore Talks The Thing". IGN Entertainment . Retrieved July 21, 2009. ↑ Darren (March 27, 2009). "Eric Heisserer Hired To Rewrite 'The Thing' Sequel". Sci Fi Scoop. Archived from the original on October 25, 2009. Retrieved June 17, 2010. ↑ Siegel, Tatiana (24 April 2010). "Top scribes reap pic rewrite riches". variety.com. Retrieved 20 June 2016. 1 2 3 4 "First LookA Visit to the Set of 'The Thing' Prequel: Part 1". bloody-disgusting.com. October 4, 2010. Retrieved January 26, 2011. 1 2 3 4 5 "Director Matthijs van Heijningen On Set Interview THE THING". =April 18, 2011. 1 2 "Mary Elizabeth Winstead On Set Interview THE THING". collider.com. October 4, 2010. Retrieved April 18, 2011. ↑ "The Thing (Prequel) – The Supporting Cast of The Thing". ign.com. October 22, 2010. Retrieved January 26, 2011. ↑ "First inside look at The Thing prequel shows why it may be awesome after all". io9.com. October 4, 2010. Retrieved July 14, 2011. 1 2 "First Look: 'The Thing' Prequel, Starring Mary Elizabeth Winstead and Joel Edgerton". slashfilm.com. October 4, 2010. Retrieved January 24, 2011. 1 2 3 4 5 6 7 8 "First LookA Visit to the Set of 'The Thing' Prequel: Part 2". bloody-disgusting.com. October 14, 2010. Retrieved January 26, 2011. ↑ "Interview with John Carpenter". outpost31.com. August 2012. Archived from the original on 2012-08-11. ↑ "The Thing Prequel Starts Shooting in March". ShockTilYouDrop. CraveOnline (originally published by Production Weekly). January 3, 2010. Archived from the original on January 5, 2010. Retrieved January 4, 2010. 1 2 "The Thing Prequel: Interview With Cast & Crew!". electroshadow.com. April 18, 2011. Archived from the original on August 15, 2011. Retrieved April 18, 2011. ↑ "The Thing F/X Team Revealed!". Dread Central. CraveOnline. February 25, 2010. Retrieved April 20, 2010. ↑ Woerner, Meredith (April 27, 2010). "What Sick John Carpenter Moments Will The Thing Prequel Explain?". io9 . Retrieved June 17, 2010. ↑ "Shock Interview: ADI's Alec Gillis on Harbinger Down and the Kickstarter Campaign". shocktillyoudrop.com. May 15, 2013. Retrieved June 20, 2013. ↑ "Alien and The Thing FX master Kickstarts CGI-free film". SciFiNow. May 18, 2013. Retrieved June 20, 2013. ↑ "Exclusive: Script review of The Thing prequel - Corona Coming Attractions". www.coronacomingattractions.com. ↑ "Universal Pulls 'The Thing' From 2011 Release Slate". Bloody Disgusting. November 12, 2010. Retrieved July 26, 2011. ↑ "Additional Shooting On 'The Thing' The Reason For The Films Delay". indieWire . November 16, 2010. Archived from the original on December 21, 2010. Retrieved January 26, 2011. ↑ "The Thing (2011): why was the Pilot Creature fired?". Monster Legacy. February 8, 2012. Retrieved February 18, 2012. ↑ "Weekend Report: Remakes Can't Retire 'Real Steel' - Box Office Mojo". boxofficemojo.com. ↑ "The Thing (2011) (2011) - International Box Office Results". Box Office Mojo . Retrieved 10 March 2018. ↑ "The Thing Reviews". Metacritic . Retrieved October 14, 2011. ↑ Pamela McClintock (2011-10-14). "'Box Office Report: 'Footloose' Grosses $5.57 Million, On Course To Dance Away With The Weekend". The Hollywood Reporter . Retrieved 2011-10-14. ↑ Phillips, Michael (2011-10-13). "The Thing movie review by Chicago Tribune's Michael Phillips – chicagotribune.com:". Chicago Tribune . Retrieved 2011-10-14. ↑ O'Hehir, Andrew (2011-10-13). ""The Thing": Loving prequel to a horror classic – Salon.com:". Salon.com . Retrieved 2011-10-14. ↑ Berardinelli, James. "Thing, The - Reelviews Movie Reviews". Reelviews Movie Reviews. ↑ Orr, Christopher (14 October 2011). "'The Thing' Is a Just-Fine Thing". The Atlantic. Retrieved 22 May 2012. ↑ Bell, Josh (2011-10-12). "Las Vegas Weekly : – Meet the new "Thing" same as the old "Thing"". Las Vegas Weekly . Retrieved 2011-10-13. ↑ Murphy, Kathleen (2011-10-12). "The Thing (2011)". MSN . Retrieved 2011-10-13. ↑ Vejvoda, Jim (2011-10-12). "The Thing Review". IGN . Retrieved 2011-10-13. ↑ Ebert, Roger. "The Thing Movie Review & Film Summary (2011) - Roger Ebert". www.rogerebert.com. ↑ Sauriol, Patrick (2011-10-12). "Review: The Thing". Corona's Coming Attractions . Retrieved 2012-02-12. ↑ "Nominations for the 38th Annual Saturn Awards". Saturn Award . Academy of Science Fiction, Fantasy & Horror Films. February 29, 2012. Archived from the original on February 29, 2012. Retrieved February 29, 2012. ↑ "10th Annual VES Awards". visual effects society. Retrieved December 31, 2017. ↑ "Marco Beltrami's 'The Thing' Soundtrack announced - Film Music Reporter". filmmusicreporter.com. ↑ "The Thing [2011 Original Score] - Marco Beltrami - Songs, Reviews, Credits - AllMusic". AllMusic. ↑ "The Thing Returns To Dark Horse Comics! Free Digitally, Wow!". Dark Horse Comics. 2011-09-21. Retrieved 2018-10-09. ↑ "Amazon.com: The Thing (2011)". Amazon. December 1, 2011. Retrieved December 16, 2011. ↑ "The Thing – DVD Sales". the-numbers.com. Retrieved October 1, 2013.